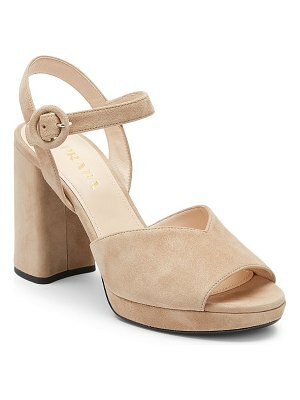 Peep-toe sits atop 5/8" platform. Petite buckle adjusts slingback. 4" covered heel; 3 3/8" equiv. Creamy leather lining with padded insole; leather sole. "Nova" is made in Italy.